STAND FIRM & SHOW DEPENDABILITY. Whether it's catching passing trade or making it easy for your clients to find you, planted signs can make a great first impression. We design, supply and install a comprehensive spectrum of planted signs and monoliths. These signs which are also known as 'totems' or 'head stones' stand strong and are highly effective. From small monoliths to huge 5 metre monoliths that need to be craned in position, we cover it all. Monoliths, like sign trays, can have illuminated sections. We would recommend illuminating the logo or the main message with push through 10mm thick illuminated acrylic in order to make a real statement. Consider brushed stainless steel monoliths for corporate understated and timeless settings. These signs comprise of aluminium round posts which are planted in the ground, and an aluminium plate with hidden rail fixings on the back which prevent ugly fixings being visible from the front. All made to bespoke sizes and colours, more than one plate can be fitted to the posts which can help divide up information, particularly for directional signage in larger premises or shared buildings. Hardwood planted signs cater for the more classic, opulent look. 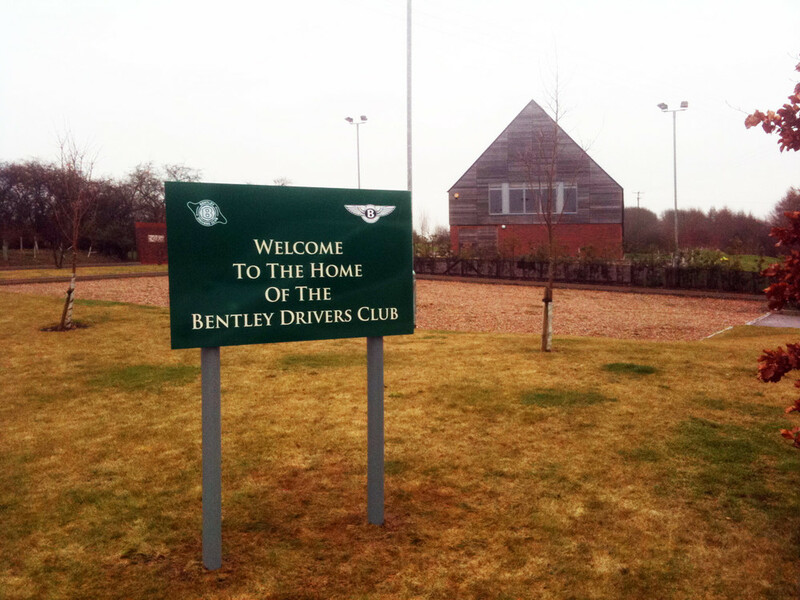 Our hardwood signs can be oiled or painted, traditionally sign written or have vinyl graphics applied. Often preferred in the grounds of listed buildings and National Trust properties, our hardwood signs are made in our studio, which gives us maximum control over the finish and quality.